When it comes to raw vs cooked vegetables, what are the healthiest ways to eat them to get the most nutrients? Learn what the science and the experts say about the best ways to prepare your veggies to get the most benefits. Raw diets have been getting a lot of attention. Some people believe eating raw foods means you’re getting more nutrients. Or that cooking food kills the natural enzymes in plants, as well as the vitamins and minerals. On the other hand, other people say cooked foods are easier on your digestion, are healthier, and sometimes taste better. So what’s the truth about raw vs cooked vegetables? How should you be eating your veggies to get the most benefits? Are More Nutrients Always Better? Raw vegetables often contain more nutrients. So naturally, many people think they’re healthier for you. And, sometimes, that’s true. But the reality is more complex. 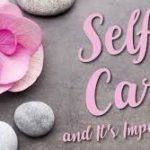 A 2010 study published in the American Journal of Clinical Nutrition found that when women followed either an average Western diet, a wholesome nutrition diet (based on healthy dietary recommendations), or a raw food diet, more nutrients weren’t always better. For example, participants in the raw food diet group consumed more beta-carotene per day than any other group. But participants in the wholesome nutrition diet group absorbed the most of this critical antioxidant. When you cook your veggies, you lose some nutrients. But others become more available for your body to use. In addition to apparently supplying you with more absorbable beta-carotene, as mentioned in the study above, cooked veggies give your body more of certain other antioxidants, such as lutein (which is good for your eyes) and lycopene (which helps protect your heart and your bones). 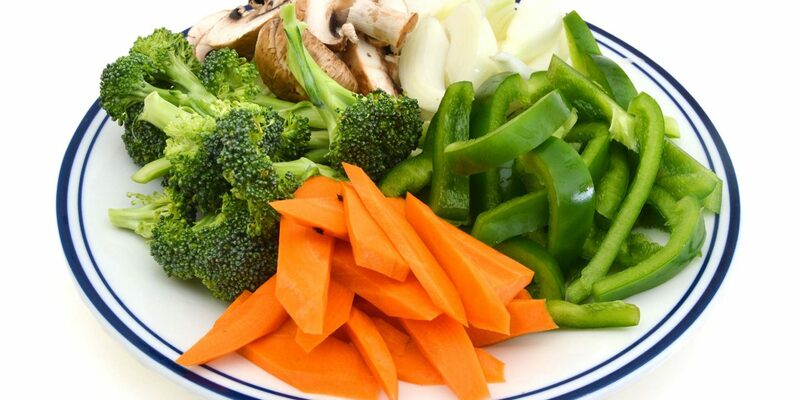 Cooked vegetables can also give you more minerals. Heating releases bound calcium, making more of the mineral available for the body to absorb. And the difference can be significant. Cooked spinach has 245 mg/cup of calcium, while raw spinach only has 30 mg/cup! With many vegetables, the best way to prepare them is the way that gets you to eat them. If cooking them means you’ll eat more, that could be a very good thing. 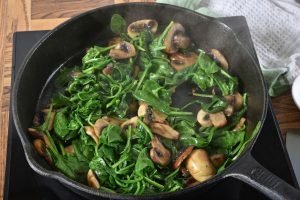 Spinach — This dark green leafy vegetable shrinks up when cooked, which makes it easier to eat more. And more spinach equals more nutrients! Spinach contains oxalic acid, which can hurt your body’s absorption of calcium and iron. But steaming spinach has been shown to cut the oxalic acid by five to 53%. Steaming also allows the spinach to retain its folate content, a B-vitamin that helps your body produce DNA. Asparagus — A 2009 study published in the International Journal of Food Science & Technology found that cooking asparagus increased its antioxidant and cancer-fighting activity (including phenols, quercetin, rutin, beta-carotene, lutein, and zeaxanthin) by 16 to 25%. And a 2009 study published in the International Journal of Molecular Sciences found that cooking asparagus increased the level of two types of phenolic acid, which has been linked to lower cancer rates. Tomatoes — Lycopene (found in many red and pink pigmented foods) is an antioxidant and an anti-inflammatory, and has been linked to lower levels of cancer and heart attacks. A 2002 study published in the Journal of Agriculture and Food Chemistry found that cooking actually boosted the amount of lycopene in tomatoes. Also, lycopene is a fat-soluble antioxidant, which means it’s better absorbed by your body when consumed with some healthy form of fat. Mushrooms — Mushrooms retain more antioxidants when cooked. A 2006 study published in the journal Food Chemistry found that using heat significantly enhanced the overall antioxidant activities of Shiitake mushrooms. Additionally, some types of raw mushrooms contain a potentially carcinogenic substance called agaritine. Joel Fuhrman, MD, says cooking mushrooms for even a few minutes gets rid of most of the mild toxins they contain. Potatoes — In general, raw potatoes contain a lot of resistant starch, which can cause gas and bloating. Raw potatoes also have anti-nutrients (which can interfere with the absorption of key vitamins and minerals) that decrease during cooking. Carrots, Celery, and Green Beans — A 2009 study published in the Journal of Food Science found two vegetables that actually become healthier with cooking — carrots and celery. Green beans did, too, except when they were boiled or pressure cooked. Cooking and pureeing carrots (with the skins on) can multiply their antioxidant power threefold! Roasting can also boost nutrients. Legumes — Most legumes can’t be eaten raw, though some can be sprouted as an alternative to cooking. Some beans (red kidney beans in particular) contain a specific lectin that can cause gastrointestinal issues; however, cooking deactivates this compound. Nutritionally, a 2013 study published in the journal Food Chemistry found that both sprouting and cooking beans improved some of their health benefits including their neuroprotective and anticancer effects. Which Cooking Methods Should You Avoid? Frying creates free radicals and carcinogens, which do major damage to your cells. Fried foods also often contain trans fats, which are unsaturated fats that have been hydrogenated and are linked to cancer, diabetes, heart disease, and obesity. And when it comes to preserving the antioxidants in your vegetables, steaming is better than boiling. Why? Because when you boil foods, some of the nutrients get lost in the water. In fact, in a 2009 study, 14% of antioxidants were lost on average across 20 vegetables when boiled. With that said, eating more of the boiled vegetables can make up for the loss. Also, keeping the water and using it to cook grains means you can still absorb those good-for-you compounds! Eating the phytonutrients found in plant foods has been associated with reduced risks of certain chronic diseases, such as heart disease and stroke, cancer, and age-related eye disease. But many of these beneficial compounds can be destroyed by heating and many types of food processing. In addition, water-soluble vitamins, such as vitamin C and B vitamins, leach out during the cooking process. According to a 2007 review published in the Journal of the Science of Food and Agriculture, you lose as much as 55% of the vitamin C in vegetables during cooking, compared to eating them raw. 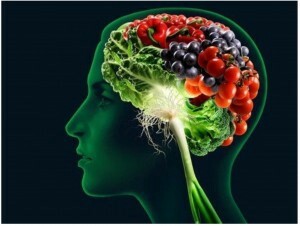 Eating raw vegetables may also help boost mental health and relieve symptoms of depression. 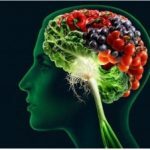 A 2018 study published in the journal Frontiers in Psychology found that people who consumed more produce in its natural, uncooked state reported higher levels of psychological well-being compared to those who ate mostly cooked alternatives. For those who are watching their weight, eating raw produce can be beneficial because it requires more chewing — thus slowing down the eating process. These are some of the foods that have bigger benefits for you (at least for some nutrients) when you eat them raw. Of course, they are wonderful cooked, too. Bell Peppers — Whether you like your peppers red, green, or orange, it’s better to eat them raw. A 2009 study published in the Journal of Food Science found that bell peppers lost up to 75% of their antioxidants when cooked. Broccoli — According to a 2008 study published in the Journal of Agricultural and Food Chemistry, raw broccoli contains three times the amount of the cancer-fighting compound sulforaphane. Onions — While cooked onions have plenty of health benefits, raw onions contain antiplatelet agents, which protect against heart disease. Garlic — Raw garlic contains special sulfur compounds which have an anticarcinogenic (anti-cancer) effect. A 2001 study published in The Journal of Nutrition found that cooking can destroy these sulfur compounds. 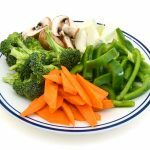 The consensus among most nutrition experts is that you need both raw and cooked veggies to get the most vitamins and minerals. 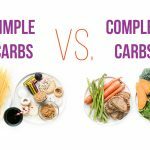 While some might be better cooked and some might be better raw, the bottom line is this: More fruits and vegetables is better, period. “We should be eating a lot of raw foods each day, but to think that a diet that is 100% raw is better than one that has some steamed vegetables or soup in it is just a distortion of the science; it’s not accurate,” says Dr. Joel Fuhrman. He recommends starting both lunch and dinner with a large raw salad or some raw vegetables and then eat a cooked vegetable-based meal. 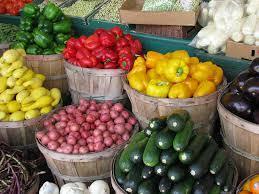 It’s well established that people who eat more vegetables and fruits are less likely to suffer from chronic diseases. When it comes to consuming more healthy, colorful fruits and vegetables, it’s best to eat them the way you prefer. And when it comes to raw vs cooked, listen to your body and find a balance that works for you because we are all unique. You may want to make changes in how you eat based on the seasons, as your health changes, and as you age. But, ultimately, eating more veggies, whether raw or cooked, is what matters the most for your health. Contact me for a free health consultation.